Phytomer surpasses the frontiers of traditional cosmetics to create an exceptional youth cream with XMF, an advanced ingredient that creates an invisible film on the skin’s surface to instantly beautify and visibly correct signs of aging. An exclusive discovery by PHYTOMER Advanced Research, XMF (Extra Marine Filler) is an EPS (ExoPolySaccharide) - a 100% natural advanced ingredient with exceptional smoothing and densifying properties. XMF acts inside the skin by stimulating the synthesis of collagen, elastin and hyaluronic acid, helping add tension to these fibers for a denser and firm skin mattress. XMF works in synergy with seaside plant, Morio Orchid to protect skin against free radicals and glycation, preserving skin’s youthfulness. This impressive facial cream has a smooth velvety finish and beautiful fresh fragrance, leaving skin feeling smooth, plump and visibly younger-looking. apply morning and/or evening to perfectly cleansed face and neck. May be used alone or after applying serum. 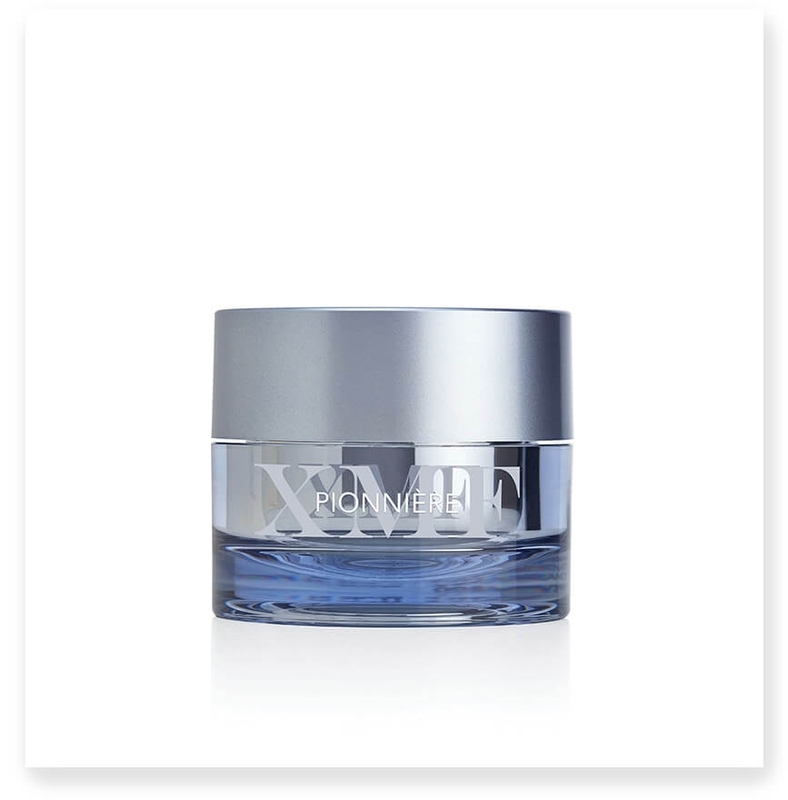 XMF “EXTRA MARINE FILLER”:an exclusive discovery by PHYTOMER Advanced Research, XMF is a high-tech marine sugar. XMF is an EPS (ExoPolySaccharide) - a 100% natural ingredient with exceptional smoothing and densifying properties. Instantly smooths wrinkles for crease-free skin. Densifies the skin mattress for firmed, tightened skin. MORIO ORCHID: a rare and protected plant, notably found on the coasts of Brittany, France. Antioxidant protection (against free radicals) and antiglycation protection (against sugars) to help preserve the skin’s youthfulness. Mario Orchid is a protected species, to preserve this precious resource PHYTOMER has implemented a program of cultivation in greenhouses. * Instrumental test on 23 volunteers. Twice-daily application for 1 month.. I've just started using this product so I'm giving it a 4 star rating at this time. So far though it feels going on and leaves my skin soft. I've been using this cream since I had the wonderful XMF Phytomer facial and I am hooked. The best solution to smoothing out my skin I have tried. Always get great service and samples from this site.